My heartfelt thanks to Angela, Magnus, Daniel and Per at Malmö Konsthall for producing, hosting and assisting, Joakim Norling and Timglaset for putting the program together. Thanks to Lina Nordenström, Bengt Adlers and Kontorsorkestern for wonderful performances. 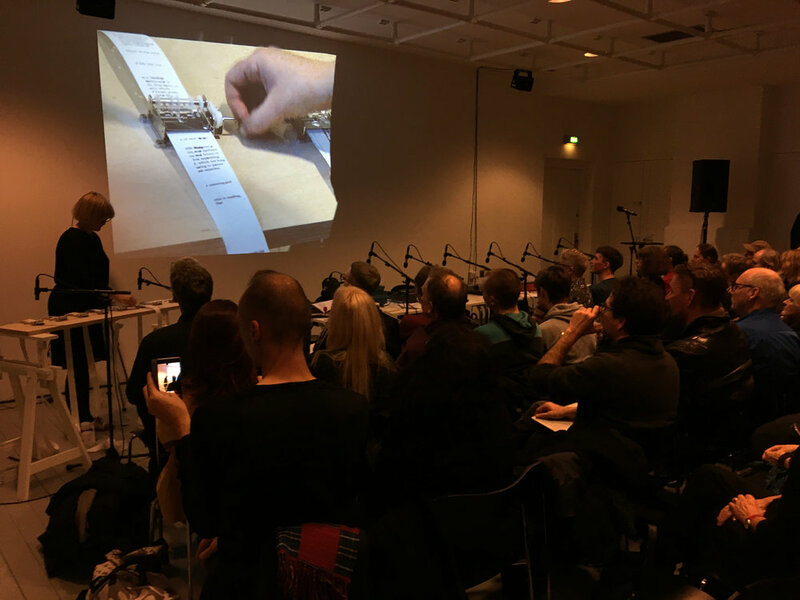 And thanks to all of you in the audience that, despite the horrible weather, came and filled up the space at Malmö Konsthall this evening in November.